Connect with your clients at an extremely effective rate. 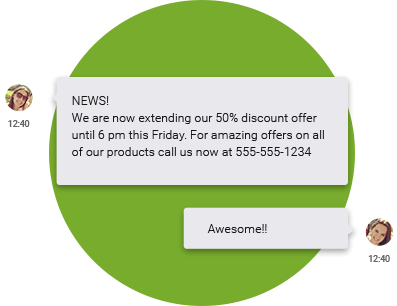 Alert your customers of any specials or deals you have coming up. Spice up your text messages with images, gifs, pdf’s, or video. 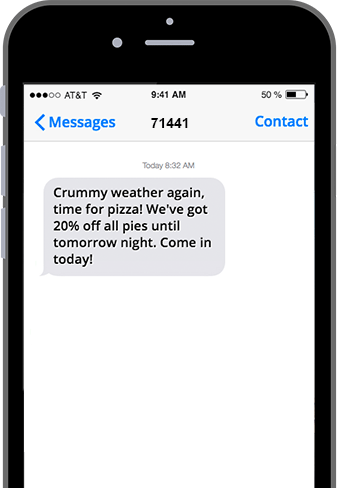 In terms of composition and timing, personalization is a key element that makes our SMS/MMS marketing tools so successful. Our easy to use interface can manage multiple client lists for a better user experience while our bandwidth enables any text message blast of any size to be sent out as fast as possible. Business owners will be able to plan their own campaigns, customize every message, and receive detailed reports as needed.